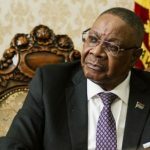 Following an application made by the Mzuzu based Youth and Society (YAS), the High Court has frozen a Standard Bank account belonging to the Democratic Progressive Party (DPP) through which the party is said to have received K145 million from Pioneer Investments Limited in the infamous Malawi Police Service food rations corruption scandal. President Mutharika, who is the sole signatory of the account, is rumoured to have withdrawn K65 million of the K145 million received from Zameer Karim of Pioneer Investments. In the Civil Case No.215, Innocent Bottoman, Zameer Karim, Charles Mhango and Greselder Jeffrey are named as defendants with other parties involved being Standard Bank plc, the former secretary to the treasury Ronald Mangani, National Bank of Malawi Plc and the director of the Anti-Corruption Bureau (ACB). An inter-parties hearing of the case is set to commence on 3rd August 2018.